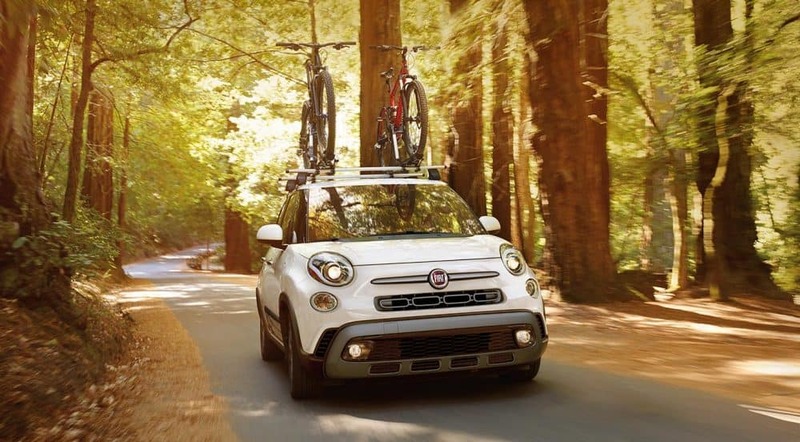 The Fiat 500L, which is a compact wagon, manages to perfectly evoke playfulness and charm with a larger cargo space than other options in the Fiat lineup. 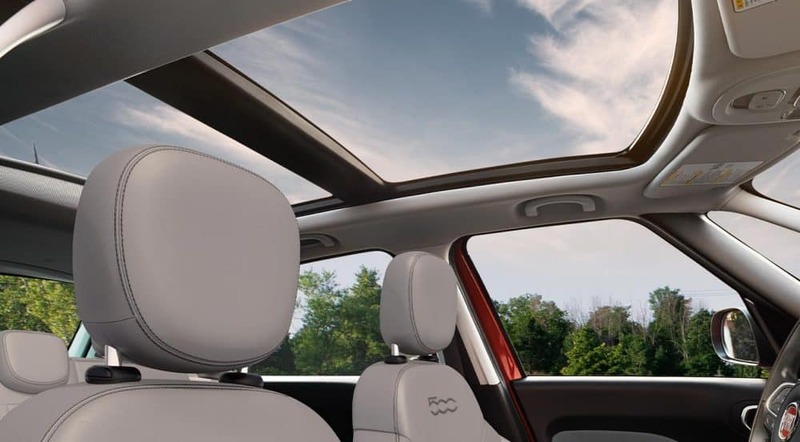 The 2019 model hasn't made any major changes to this vehicle, but you'll still find the easy-to-use touchscreen interface, and even with the hatchback configuration, you'll be getting the cargo and passenger room that you're looking for. The 500L is truly the perfect city-living car, and you can pack in your friends, throw in your luggage, and cruise out on the open road. Not only does this vehicle offer three impressive feature options, but you'll also get a standard powerful engine, and safety features to make sure that you and your passengers stay safe. 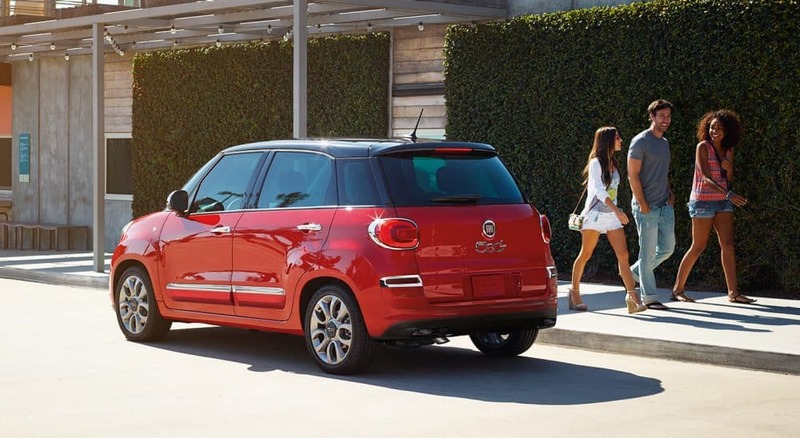 We absolutely recommend learning more about the Fiat 500L if you want a vehicle that gives you fun with utility! 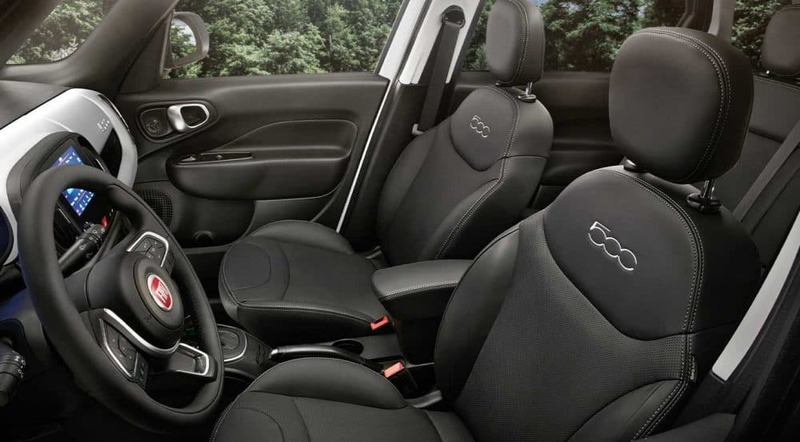 Safety is something that Fiat takes incredibly seriously. 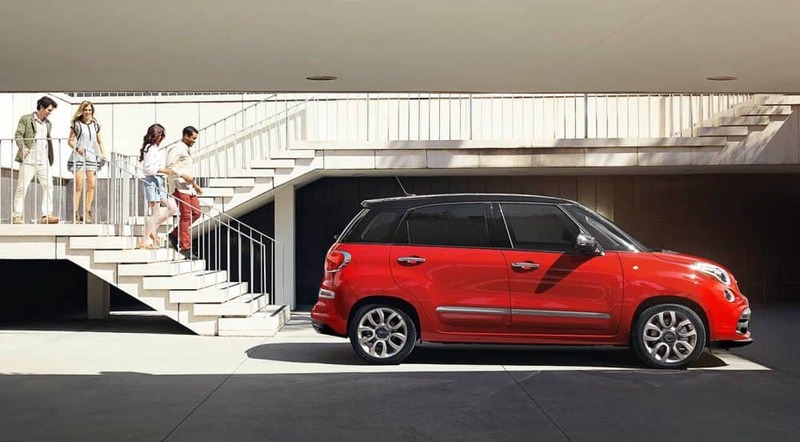 In fact, safety with Fiat starts with the advanced steel safety frame that forms the foundation of the 500L! Along with the safety frame, you'll be getting seven airbags, which include full-length side-curtain airbags, driver and front passenger advanced multistage airbags, and a driver-side knee bolster airbag. Other available safety features include ParkSense rear park assist, electronic stability control, and a standard ParkView rear back-up camera. What trim lineup comes with the 500L? To stand out from the competition, the 2019 500L comes in three trim levels. The first of these options is Pop. Pop comes standard with a leather-wrapped tilt/telescoping steering wheel, 16-inch alloy wheels, a 6-speaker sound system, heated mirrors, a seven-inch touchscreen, remote locking and unlocking, two USB ports, daytime running lights, Android Auto and Apple CarPlay, height-adjustable front seats, tinted windows, 60/40-split folding rear seats, cruise control, and a rearview camera. For more features with Pop, you can add different packages! The first package is Popular Equipment Group, and the other is Premium Group. The mid-range trim is called Trekking. Trekking comes standard with a rear-seat armrest, unique body panels, satellite radio, 17-inch wheels, unique trim, leather upholstery, LED ambient interior lighting, a BeatsAudio system, heated front seats, and navigation. The highest available option is Lounge. Lounge includes all of the contents of the Popular Equipment Group package, 17-inch alloy wheels, chrome body accents, and chrome exterior mirrors. This top trim is available with a Graphite Edition package, which adds a gray-painted roof and mirror caps, non-painted wheels, and a sunroof. 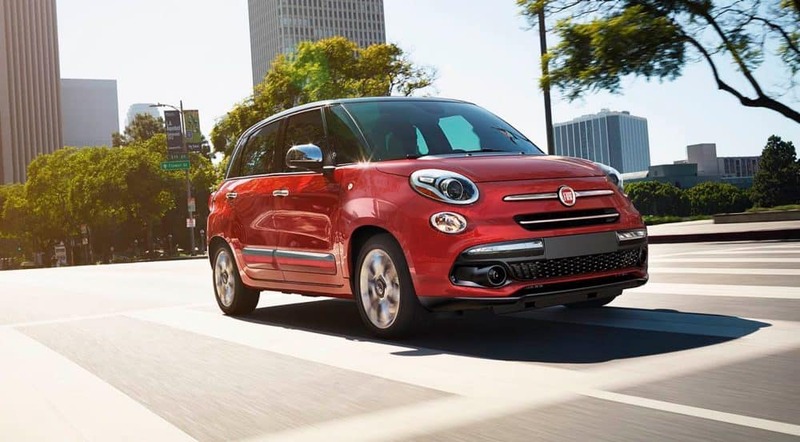 What engine powers the 500L? 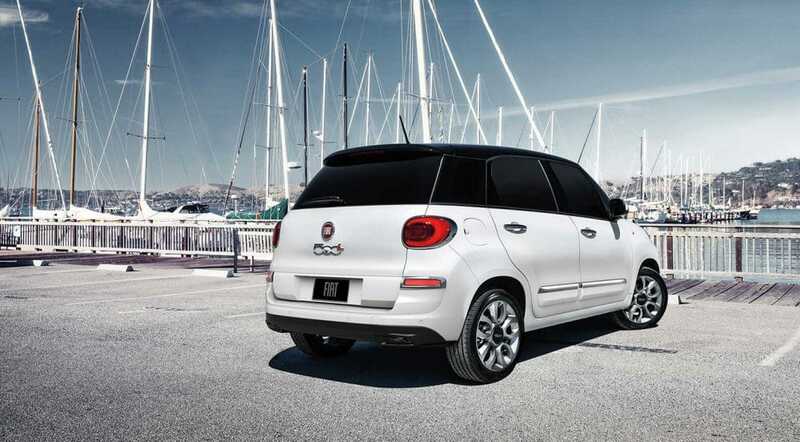 In order to power the Fiat 500L, Fiat has made one standard engine available. That engine is a 1.4-liter turbocharged 4-cylinder, which can generate up to 184 pound-feet of torque and 160 horsepower. All of this power goes straight to the front wheels. In order to further elevate this system, a six-speed automatic transmission comes as standard. This powertrain makes sure that you have enough pep to get up those hills, and get around those turns. 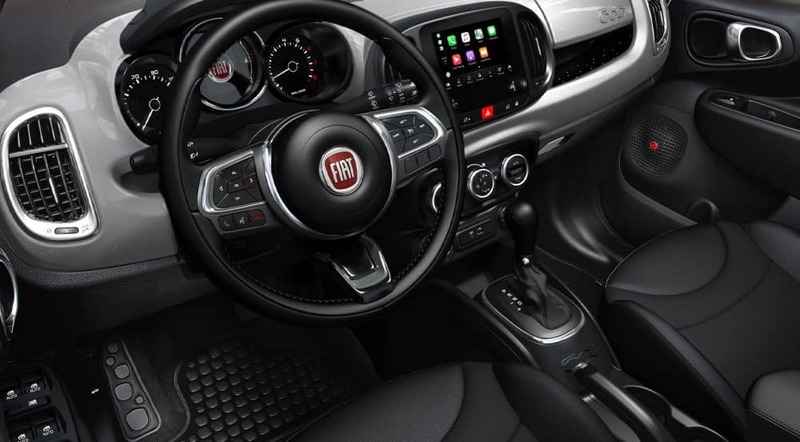 There is no hesitating with the 500L, just a whole lot of fun. 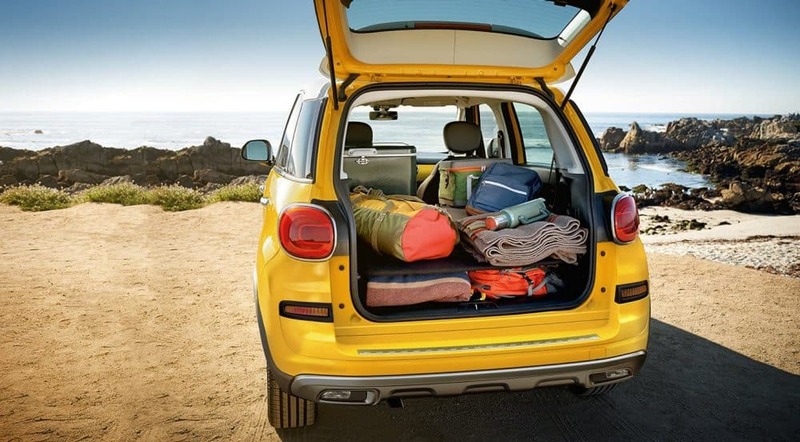 If you're looking for a vehicle that gives you cargo space and fun, then you need to check out the 2019 Fiat 500L! Stop by our dealership today to check out the models that we have in inventory. We also invite you to give us a call if you have any further questions.